Direction (1 – 10): In the passage given below there are 10 blank, each followed by a word given in bold. 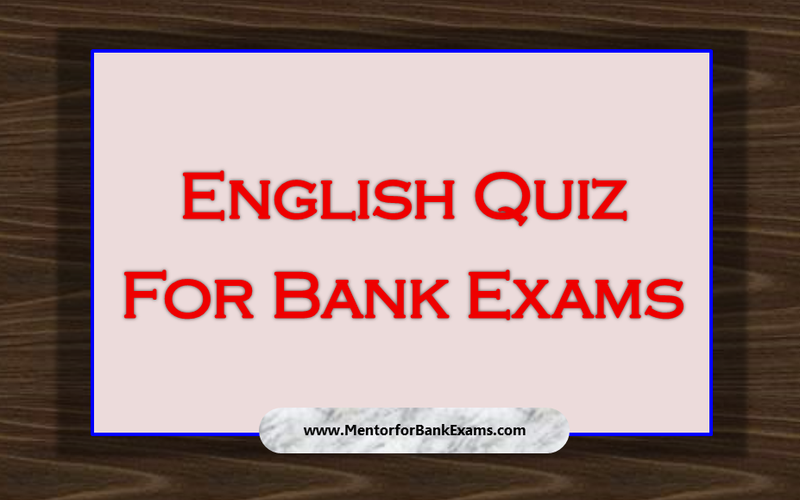 Even blank has four alternative word given in options (A), (B), (C) and (D). You have to tell which word will best suit the respective blank. 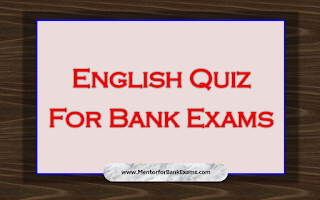 Mark (E) as your answer if the work given in bold after the blank in your answer i.e "No change required". In early 2007, the worst financial crisis in almost 80 years began to unfold, coming to a head 18 months later with the collapse of Lehman Brothers and shock waves felt around the world. Desperate government measures saved us from Great Depression II, and officials vowed "never again" would we face the same risks. Politicians and central banks ___ (1) ___ [embarked] on a broad process of national-level reform and international coordination all intended to reduce the chance that very large banks could collapse. A decade later, the global financial system has in some ways become safer as a result of these efforts. In other ways, however, the structure has not changed much - and may even have become more __ (2) __ [protected]. But, instead of completing the reform process, policymakers on both sides of the Atlantic seem determined to undo most of the measures underpinning what progress has been achieved. The past decade has yielded three main __ (3)__ [decay]. First, some financial firms failed, and for good reason: their business models were bad, they were badly run, or both. At the same time, stronger financial firms expanded their market share. Second, the funding of banks shifted away from debt and toward equity. More than one __(4) __[obscured] bank before the crisis had less than 2% of its funding from equity -meaning that it was more than 98% financed by debt. That does not happen today. Third, there are now restrictions on the activities of the largest banks. The so-called Volcker Rule prevents ___ (5) ___ [proprietary] trading - a form of in-house __ (6) __ [perpetual] by United States-based banks. In other countries, bank supervisors have become more sceptical about supposedly sophisticated risk-taking. Caution is in the air. Unfortunately, all of these achievements may prove __(7)__[perpetual]. Powerful people want to remove restrictions on banks in the US and the United Kingdom. For example, the Volcker Rule can be expected to come under great pressure from Goldman Sachs and its many __ (8)__ [sophomore] now serving in senior US government posts. Gary Cohn, a former Goldman Sachs president and chief operating officer who now heads President Donald Trump's National Economic Council, says that we should reduce capital requirements (meaning allow more debt and less equity funding at banks) in order to boost the economy. This is exactly what happened in the early 2000s. If Cohn gets his way, the __(9)__[commencement] will be similar disaster. Since 2008, the global financial system has become more concentrated in important ways. The biggest US banks did well ___ (10) __ [relative] to their competitors, including large European banks. As a result, in key markets - and throughout the world's essential financial infrastructure - banks such as JPMorgan Chase remain far too big to be allowed to fail. 3. A) allegation B) Accomplishments C) Implosion D) Postulation E) No correction required. 6. A) dirt B) speculation C) counsel D) erudition E) No correction required. 7. A) permanent B) enduring C) deterioration D) ephemeral E) No correction required. 10. A) eternal B) privilege C) pretense D) pretension E) No correction required.